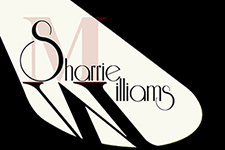 As Williams Family Lore would have it: In 1915, when a kitchen stove fire singed his sister Mabel’s lashes and brows, Tom Lyle Williams watched in fascination as she performed what she called, “A secret of the harem”—mixing petroleum jelly with coal dust and ash from a burnt cork and applying it to her lashes and brows. 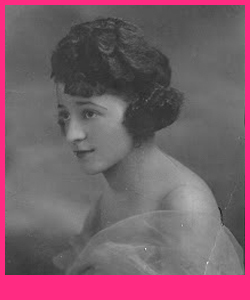 Mabel’s simple beauty trick ignited Tom Lyle’s imagination and he started what would become a billion-dollar business, one that remains a viable American icon after nearly a century. He named it Maybelline in her honor. Throughout the twentieth century, the Maybelline company inflated, collapsed, endured, and thrived in tandem with the nation’s upheavals—as did the family that nurtured it. Tom Lyle Williams—to avoid unwanted scrutiny of his private life—cloistered himself behind the gates of his Rudolph Valentino Villa and ran his empire from the shadows. Now, after nearly a century of silence, this true story celebrates the life of an American entrepreneur—a man forced to remain behind a mask. 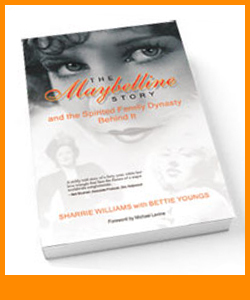 The Maybelline Story is a family memoir, distilled from nine hundred pages of family accounts from the 1920s to present, and spans four generations. 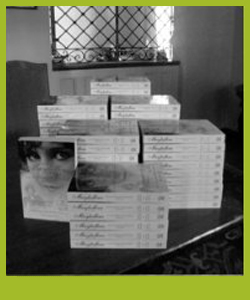 It reveals a family intoxicated by the quest for power, wealth, and physical perfection. 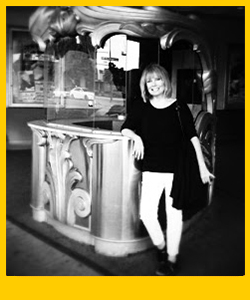 It is a fascinating and inspiring tale of ambition, luck, greed, secrecy—and surprisingly, above all, love and forgiveness, a tale both epic and intimate, alive with the clash, the hustle, and the dance of American enterprise. 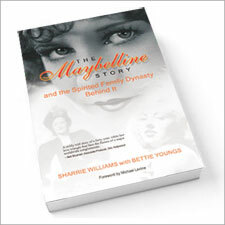 Get your copy of The Maybelline Story today!